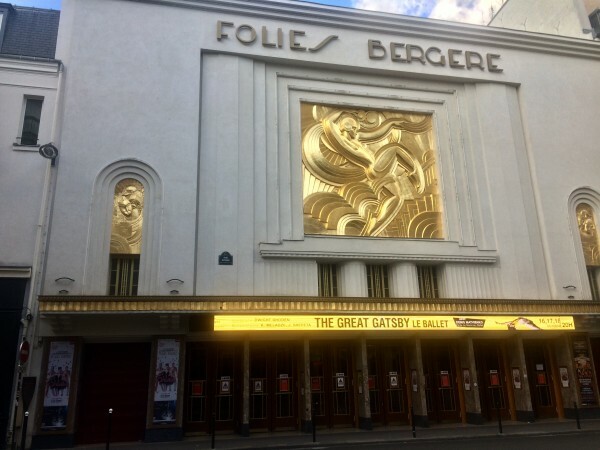 PARIS/FRANCE: Dwight Rhoden, the famous American choreographer and artistic director of the Complexions Contemporary Ballet, the company he founded, presented last week in Paris his ballet The Great Gatsby, inspired by the Fitzgerald’s eponym novel. The project is quite ambitious and is starring an international ballet star, Denis Matvienko, former Principal of the Mariinsky Theatre. Denis Matvienko is a brilliant dancer, whose career being a soloist at the Mariinksy Theatre in Saint Petersburg, between 2001 and 2015, is one of the richest in the world. He is now a guest soloist of the Mariinsky and is invited in the most prestigious companies all around the world. This incredible and very attractive cast, combined to such an interesting subject as Fitzgerald’s novel, creates great expectations. 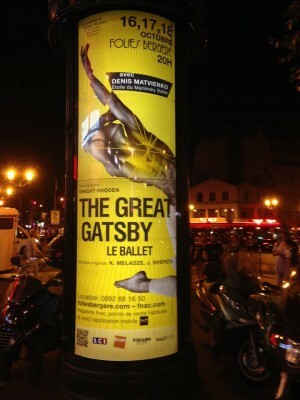 Unfortunately, a good cast is not enough and this ballet is, by many ways, far from being up to one’s expectations. First, the novel is poorly treated and the characters are not developed deeply enough to reach the audience’s interest. The dancers try their best, but in vain, to give a soul to those pale figures, moving on the stage without any personality. Uneven in its quality, the choreography is the main, and obviously most important, weakness of what could have been a very nice ballet. The vocabulary is poor, and too often reduced to very basic movements such as stretched legs, grands jetés, and vague arms movements, completely disconnected with the music. It results in a cold succession of movements and a useless exhibition of men’s and women’s bodies. The composition in general lacks of density and Dwight Rhoden often seems to look for the easy way out. Fortunately, some parts patch it up and are very properly done. Here and there the choreography reaches its aim, which is to create emotions. The pas-de-deux parts are often fluently composed and underline the music with poetry. Thus, the dancers can show all their artistic talents. 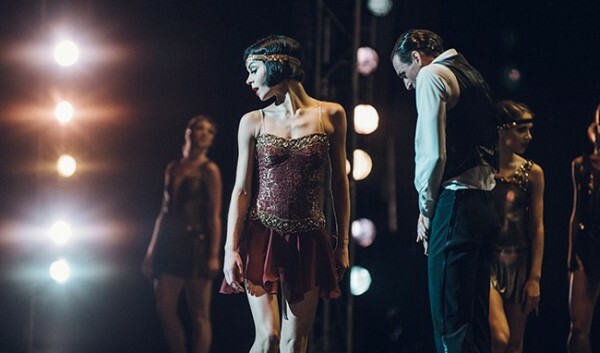 Apart from Matvienko, the other dancers are also of great talent, like Olga Grishenkova, from the Mikhailovsky Theatre, who plays Daisy, and Clifford Williams who plays Mayer Wolfsheim. Both have a great artistic presence. The music, composed by Konstantin Meladze, is thought as a patchwork of different styles, mixing some references of the jazzy atmosphere in which Fitzgerald evolved at his time, with more modern radio tunes. It could have been a good idea but instead creates a confusing atmosphere that prevents the audience to really plunge into the story and the ballet. From time to time, the music even reminds Hollywood’s bad movies sounds effects. Despite all that, and forgetting the video screen in the background which is of very bad taste, the show is quite entertaining. The technicity of the dancers allows some impressive technical variations which is always pleasant to the audience. The costumes, by Dmitriy Paradizov, contribute also very well to create the proper atmosphere for this ballet. Eventually, the ballet should be presented as what it is, a nice entertainment, and not as an ambitious modern ballet, which seems a bit pretentious. But even in this perspective, it’s a shame that the talent of the main star, Denis Matvienko, could be so under exploited. After Paris, the show will be touring at the “Palais des Festivals” in Cannes on December 31st 2017 and on January 1st 2018. There is no such thing as having your own opinion on a subject. After reading this review, which is only one self’s point of view, go see the performance and make your own idea of this ballet, which is still, a very fine entertainment.